As the centre piece of the Drimsynie Estates, this impressive Scottish mansion overlooks its own 9-hole golf course, Loch Goil in the National Park and the the Argyllshire Hills. 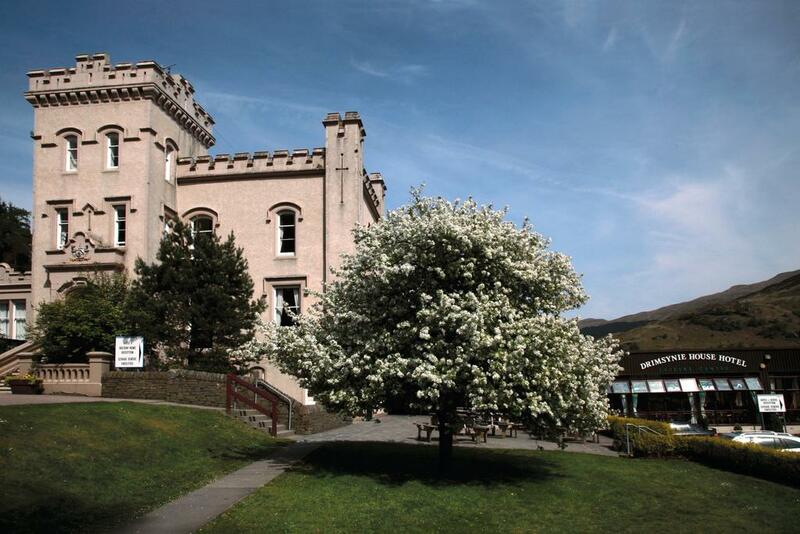 Just 1 miles away from the scenic village of Lochgoilhead, in the Loch Lomond and Trossachs National Park, the hotel presents itself as the ideal base for exploring beautiful western Scotland. 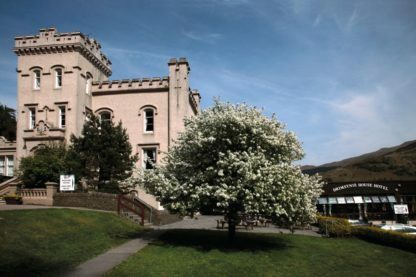 Drimsynie House Hotel is 54 miles from Glasgow and 100 miles from Edinburgh. The hotel includes a Leisure Centre with sauna, steam room, hot tub and treatment rooms. There are also restaurants and a function hall which features regular live entertainment. There is free golf and swimming for guests, and free WiFi in public areas.